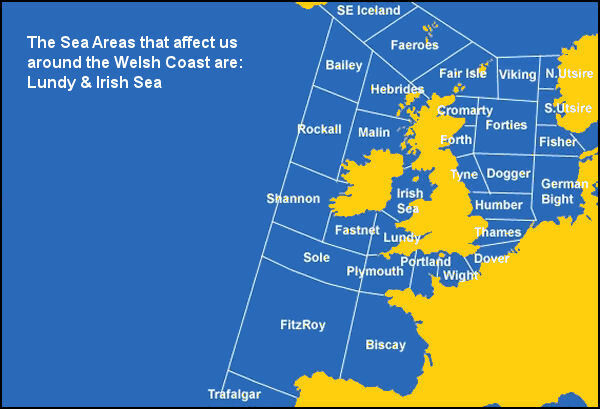 for adverse weather conditions which may affect the tidal ranges. They should not be used for navigational purposes. Llantrisant SAC cannot accept responsibility for any errors in the data. More tidal data for Milford Haven and other ports around the UK can be found on the website of the National Tidal and Sea Level Facility. 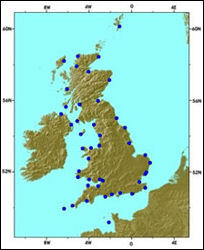 To access this data click on the map (above right). 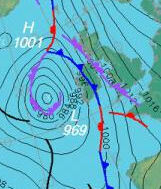 issued by the Met Office, on behalf of the Maritime and Coastguard Agency. The jet stream is a strong flowing ribbon of air that flows around our planet high up in the atmosphere, at around the level of the tropopause. Situated between the troposphere and the stratosphere, the Jet Stream is approximately 11 kilometres above the surface of the Earth at the poles and around 17 kilometres above the surface of the Earth at the equator. The jet stream flows at around 160kmph (100mph). 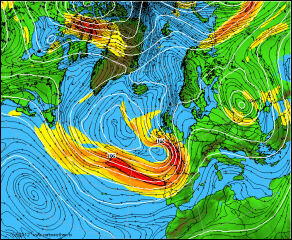 We often hear that the jet stream is responsible for influencing the weather in the UK, so it is natural to wonder what causes the jet stream and why it has such an influence on the weather we experience on the ground. 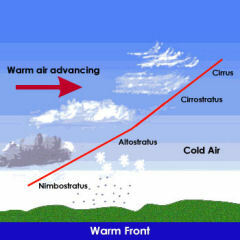 The boundary between the mid latitude air and tropical air: The Subtropical Jet. Flat calm - Sea like a mirror. Suitable for diving anywhere around the coast. Diving within the prescribed area only. (see Club Rules). Sea too rough - if already out, return to shore. Stay at home - don't even consider launching. Check your home insurance policy! Note: The NOAA Small Craft Advisory regards sustained winds 25 knots or greater and seas 10 feet (3m) or greater to be hazardous to small craft. This equates to Beaufort Force 6. As a club we do not operate in conditions equal to Force 5 or above. The UK's mid latitude position between 50 - 60°N leaves it between the warm south and the cold north. The atmosphere is driven by a need to reduce this temperature gradient by sending warm air north and cold air south using cyclones and anticyclones, or the highs and lows which make up our 'synoptic-scale' weather, and which we see on the pressure charts. When low pressure systems form in the western Atlantic, they pick up warm moist air which is then mixed with cooler air from the north as they move east across the top of the Azores high. 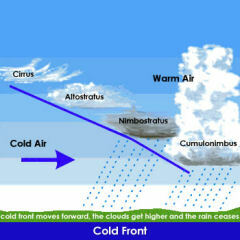 The boundaries between these air masses are marked by fronts. A typical anticlockwise rotating low centre will reach western Ireland and then curve north up the western Scottish coast. The warm front moves across the UK first, with warm moist air behind it bringing spells of rain and often reduced visibility with south to south westerly winds. The cold front chasing along behind is the boundary between this warm moist air, and the cooler more unstable brighter and more showery weather behind, with winds typically from the south west to north west. The transition of these fronts is something the diver has to take note of as the passage of these fronts over head will bring strong winds and occasionally heavy rain which can quickly turn a pleasant day's diving into a dash for shore. 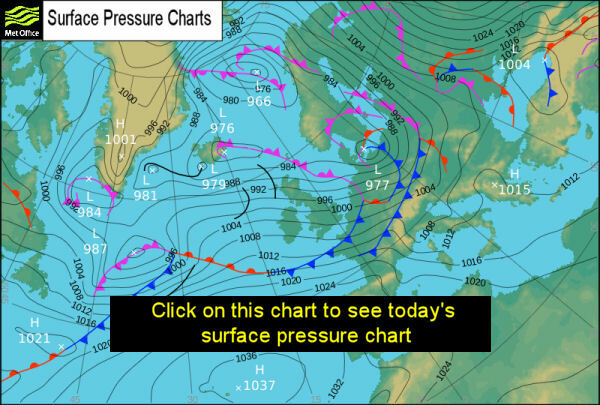 High pressure usually follows these low pressure systems. These anticyclones are clockwise rotating sinking air masses which we associate in the summer season with light winds and sunny skies, and often building afternoon onshore or sea breezes. The pressure imbalance created between the high and low pressure areas is what drives the wind as it tries to reduce this pressure gradient. Wind which we see on the water is, in the northern hemisphere, more backed (further left looking upwind) than this 500m pressure gradient wind due to the effect of friction or drag on the wind by the surface. The rougher the surface the more drag on the wind, i.e. winds are more backed over the land (20 - 40°) than they are over the smoother sea (10 - 20°). This is something to look for on the water when winds are blowing off the shore, as they will veer (clockwise, or shift right looking upwind) downwind of the shore. 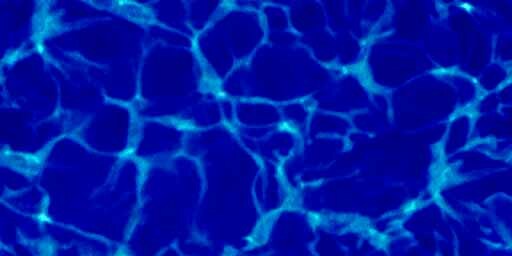 Heat from the sun has a noticeable effect of the surface winds. How many mornings have you looked out the window to see calm conditions but by lunchtime the winds have picked up nicely? During the night the earth cools and so in turn it cools the air directly above it, which reduces its 'energy' or mixing and so reduces the wind speed. As the sun heats the earth, the air next to the surface begins to warm and so begins to rise and mix as cooler air sinks to the surface to replace it, which results in an increased wind speed. Friction and heating are just two examples of the many factors which we must take into account when on the water. The forecasts we receive are often for a much wider area and there are small scale processes which affect the local winds. The nautical mile is based on the circumference of the earth at the equator. 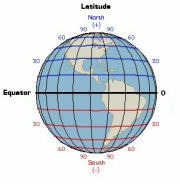 Since the earth is 360 degrees of longitude around, and degrees are broken into 60 "minutes", that means there are 360 * 60 = 21,600 "minutes" of longitude around the earth. 1 minute of longitude at the equator is equal to 1 nautical mile. For geometrical reasons, we use the minute of latitude on charts to correspond to a nautical mile rather than the minute of longitude. Minutes of longitude shrink as they move away from the equator and towards the poles; minutes of latitude do not shrink. So the earth is ideally, by definition, 21,600 nautical miles (and 21,600 "minutes" of longitude) in circumference at the equator. (By the way, the nautical mile is about 1.15 larger than the "statute" mile used by land lubbers). Example: Our boat insurance policy allows us to operate 20 (land) miles from shore. 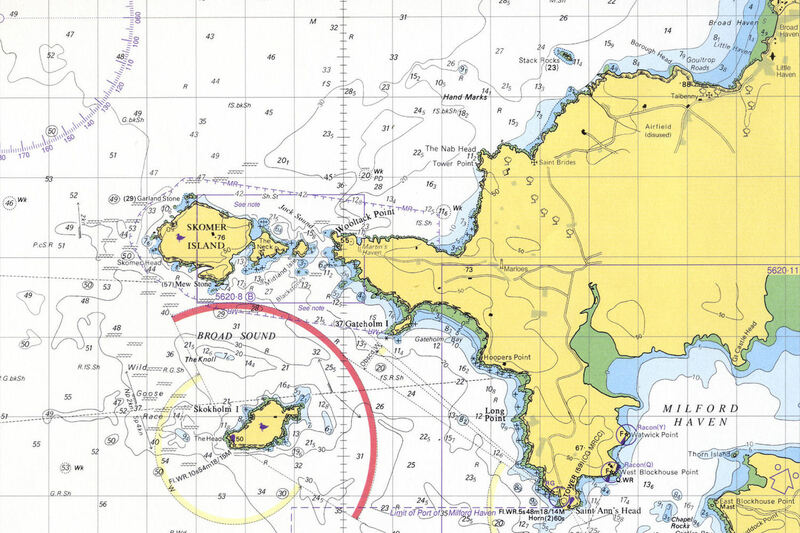 Therefore in nautical terms we can operate 20 * 0.86 = 17.2 nautical miles from shore.